I get it: parenting can be overwhelming. When you get a chance to read, you want to make sure it’s worth it. The Mama’s Best Parenting Books blog hop brings you parenting book recommendations from your blogging friends, who are all moms too! One of the most important things I can teach my children to prepare them for their futures as well-rounded adults is how to get along with other people and how to deal with the stresses of life. Basic emotional intelligence is truly important for a normal every-day life. From Daniel Goleman’s classic book of the same name, I’d define emotional intelligence as maturity to deal with the stresses of life. It’s true some of it is a matter of time: children must experience life in order to know how to deal with it. However, when adults get in serious car accidents due to road rage, there is a problem. Likewise, when an adult gets fired for inappropriate anger at the workplace, there is a problem. Or, when a person cannot get a job because they are not familiar with social cues (too much digital media?) or are not confident in their ability to perform, there is a problem. 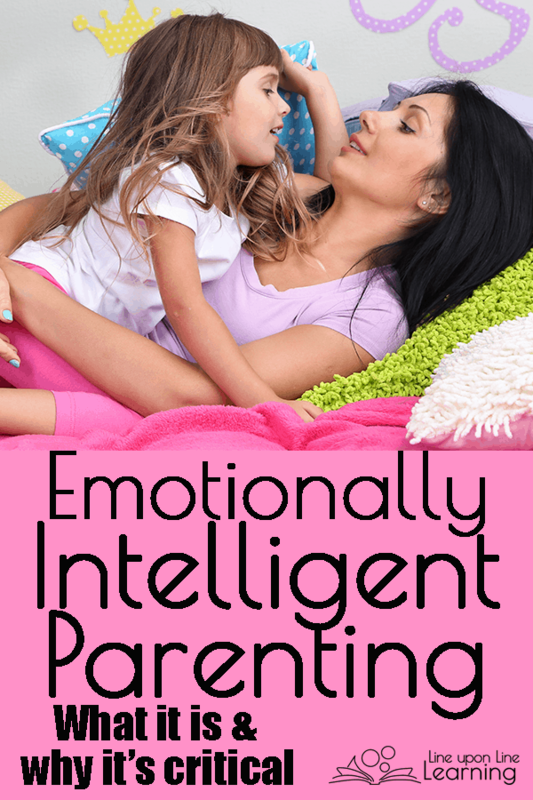 Two of my favorite parenting books address issues relating to emotionally intelligent parenting and emotional intelligence in children in general. While these are not light reads, I’ve found them to be immensely helpful to me as a parent as I strive to navigate the difficult roads of parenthood, especially as I hope to instill in my children helpful and healthy ways of coping with the stresses of life. 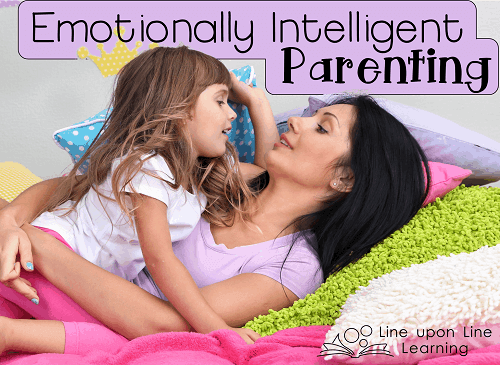 Raising an Emotionally Intelligent Child by John Gottman (published 1998) is a helpful and essential reminder of the role of parents in the lives of young children with ideas on how to better implement the teaching of emotional strength. Likewise, Awakening Children’s Minds by Laura Berk (published 2001) is a wonderful discussion of how to’s and why’s behind parenting or teaching a young child into becoming an intelligent and creative individual. Although Gottman’s book is more directly about the emotional development of a child and Berk’s book is more generally about teaching children creativity and ability, both are immensely beneficial to me as a parent. In fact, I find myself returning to both these books every few years when I need a fresh look on my parenting habits. Here are some of the key points I take out of these books. Neither Berk’s nor Gottman’s suggestions are revolutionary to a wise parent, to someone sensitive to children’s needs, and to other psychologists. Yet, I loved Gottman’s straight-forward and succinct approach to parents. And although Awakening Children’s Minds was much more academic at times (some of the statistics and lab explanations may be too much for the general reader), it too provides incredible ideas to strengthen my teaching to best be understood by a child still learning to master frustration. For me, Raising an Emotionally Intelligent Child and Awakening Children’s Minds are revolutionary books each time I pick them up. Both cause me to rediscover my relationship with my children and to reconsider my responses to their emotional outbursts and tantrums. Children are human and need to be approached with respect and individuality. Since we have innocent and needy children looking to us to learn how to react and become a responsible adult, we should incorporate some of the emotional intelligence into our own lives as well. It’s amazing to realize how much we all still have to learn as well. Let’s make sure this rising generation doesn’t grow to become a generation of out-of-control road-raging adults, okay? More Parenting Help for Mamas! If you are a parent, teacher, or homeschool parent, check out my list of great reads about education. These two books I’ve discussed are on the list, along with dozens of others I’ve read! In addition to that, this post is a part of the Mama’s Best Parenting Books Blog Hop! Here are the others.